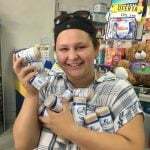 Volunteer in Honduras, La Ceiba..​ is a beautiful place filled with beautiful people who can use your help. For our group, we wanted a place that we could use our skills as Advanced EMTs to make a difference and help in anyway. Fantastic! He was always helpful and helped us plan the best possible 4 weeks of service. 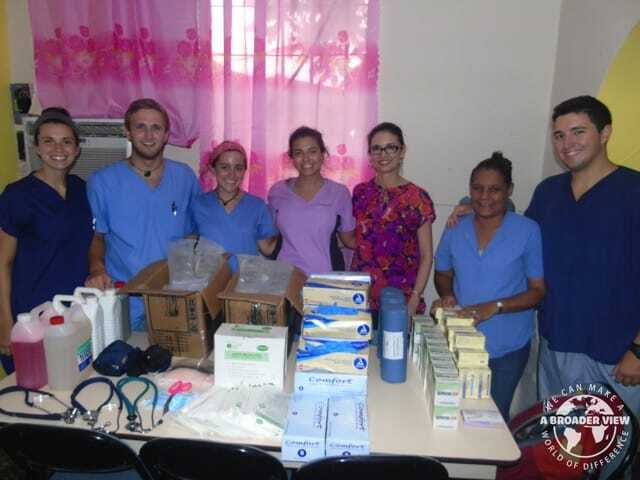 Dividing our time between 2 different hospitals was a great was to experience everything Last Ceiba has to offer, and it was possible because of the coordinator. 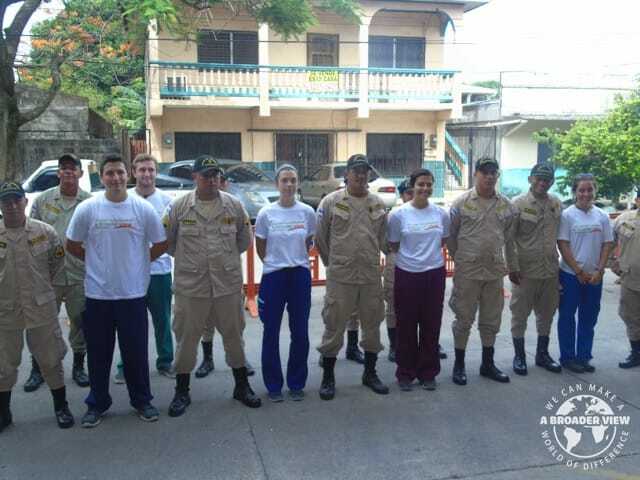 At the program: During the first week in La Ceiba, we worked with staff from Hospital Regional and traveled around the city to vaccinate (always in the month of May). This was an extremely eye opening experience, and allowed us to sit and talk from residents all over the city. During vaccinations you will see true poverty, but everyone (regardless of socioeconomic status) welcomed you into their homes. At the accommodation: The accommodation was extremely comfortable, always had access to drinking water, great food, and a hammock to rest on. Most surprisingly was the proximity to fast food restaurants, grocery stores, and a laundromat. About the country: Honduras has many of the same amenities and stores as America. Sometimes you can forget you’re in a different country! At the program: For those of you who want to work while volunteering abroad, this can be the place for you. If you come into the program with knowledge about healthcare and can demonstrate it to the staff you are working with, you should expect to be hands-on during you’re time here. What was most difficult, for me, was doing so in a different language. If you want to fully utilize you’re knowledge in patient care, be prepared with some Spanish! At the accommodation: Not much was difficult at the house (besides a little travel sickness)! If staying with Rafael, you will absolutely be comfortable. The country: After four weeks I feel I am just starting to get a taste of Honduras. My most difficult experience in the country has nothing to do with safety or security, and I feel that misconception is damaging. La Ceiba is a city that can use your help. Whether you are a teacher, construction worker, EMT, or doctor, you can make a difference here. My most difficult experiences while in Honduras revolve around the stories of residences who could use help, but can’t get it from the government, city, or volunteers unwilling to travel here. Clothing: A small suitcase full of clothes and scrubs lasted me about two weeks, and a nearby laundromat costed about 200 Lempira ($8 USD) to wash it all. I never once used a long sleeve shirt or pants, but it could be useful for hiking. Pack light and leave behind your scrubs, they will go to good use. Donations: Preferred donations vary based on where you are bringing them, but Rafael is a great resource to find out what hospitals and clinics need what. Our group utilized Americares, which provides us about $8,000 worth of gauze, medications, and bandaging supplies for free. Everything was divided amongst the firefighters and hospitals, and put to use almost instantly. No matter how long you are staying, try not to show up empty handed. Bringing donations is a great way to gain respect from the doctors, nurses, and hospital administration. The real work comes in getting the donations to Honduras​, because anything sent by mail is subject to large taxes by the government. If you want to bring the most donations at the lowest cost, consider filling a checked bag (old suitcase you don’t mind leaving here) solely with donations. Lastly, don’t be afraid to buy donations here (in fact, plan on it). Hospital administration can provide you a list of what they need the most in the moment, and you can safely use your credit card to purchase it. Weather: Sure it’s hot, but you’re expecting that! Just a friendly reminder that sweating is normal. We got used to the heat around the start of week three. You should plan on weekend activities. For around $50 USD you can take island tours, white water raft, hike, or snorkel. The people will be grateful of any talents you bring to this great country, and you will be welcomed with open arms. 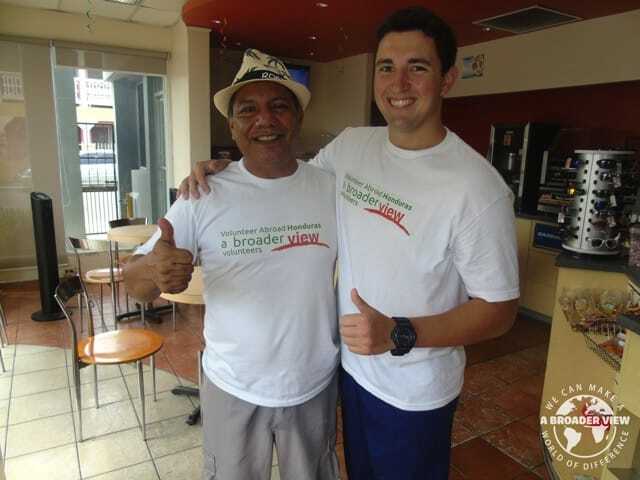 It’s okay to be called a tourist or “gringo/gringa”! 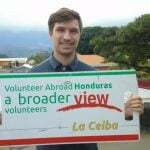 Volunteer Honduras La Ceiba…​ is a beautiful place filled with beautiful people who can use your help. For our group, we wanted a place that we could use our skills as Advanced EMTs to make a difference and help in anyway. Not only did we use these skills, but found out that La Ceiba has a lot more to offer than rewarding service. The four weeks we’ve spent here have been filled with new friends, hard work, and thought-provoking experiences. Personally, I felt the four weeks flew by, and was just enough to begin to understand Honduran culture, problems, and beauty. Our weekend travels were to some of the most magnificent places imaginable,(Cayos Cochinos, Pico Bonito, Utila, and the local river are musts) and allowed us to see the best Honduran tourism had to offer. As an AEMT and Neuroscience student the time spent with patients, watching surgeries, and speaking with doctors and nurses here has been extremely valuable. 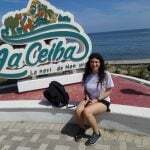 All in all, I hope you choose (or have chosen) La Ceiba as your site through ABroaderView, and I can assure you that you will not be disappointed. As I sit on my last night typing on my phone (sorry for the typos), I can say with certainty I will leave tomorrow a better healthcare provider and a more thoughtful person. Please, please, please reach out at the contact information below if you have even the smallest question! Fantastic, all around. Safe and secure house with WiFi, clean water, and comfortable rooms. Our host family was accommodating and helpful always, and I truly felt at home. Program: So many good memories, but scrubbing into multiple surgeries was a fantastic learning opportunity. From C-Sections to orthopedic surgeries, we were lucky enough to have talent staff as our personal teachers. Being able to put our donations to use immediately in Hospital Regional was a great feeling, and the staff’s heartfelt gratitude is something I will never forget. 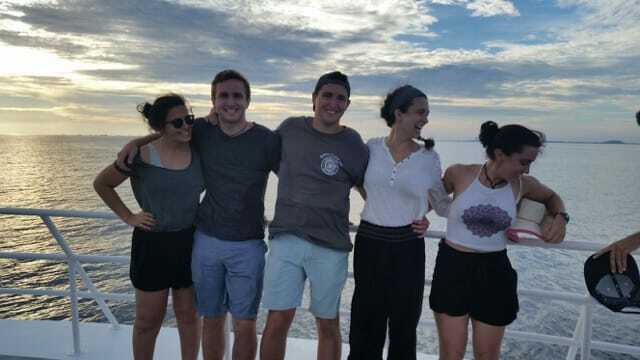 Country: As simple as it may sound, learning the city of La Ceiba through walking around, talking to people, and eating lots of food (Baleadas and Pastelitos). My favorite memories of the city give me the confidence to return at any time in the future, whether it be for service work or pleasure. The ABV office was phenomenal, and was always a phone call or email away when I had the smallest questions. The ABV office regularly checked in while we were here, and looking back now I would recommend them to everyone. Through ABV, we were directed to another fantastic organization, which was easily the best way to find flights. The ABV website provides great information about this program, and the reviews provide the most accurate description from the eyes of volunteers. Don’t be afraid to call or email ABV if you have more questions! Google search led to some phone conversations with very friendly staff. The rest is history. Thank you for what you do ABV!